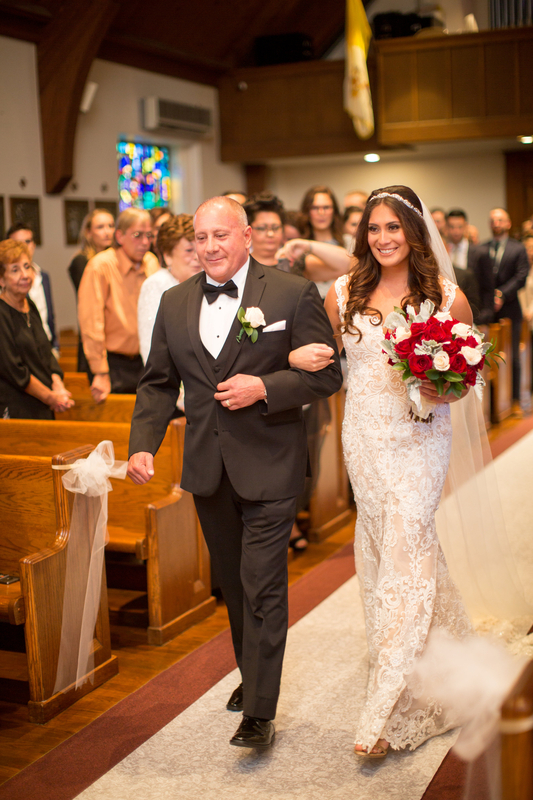 The first looks, jaw-dropping ceremony background surrounded by family and friends, but nothing takes our breath away like our stunning bride Alyssa! 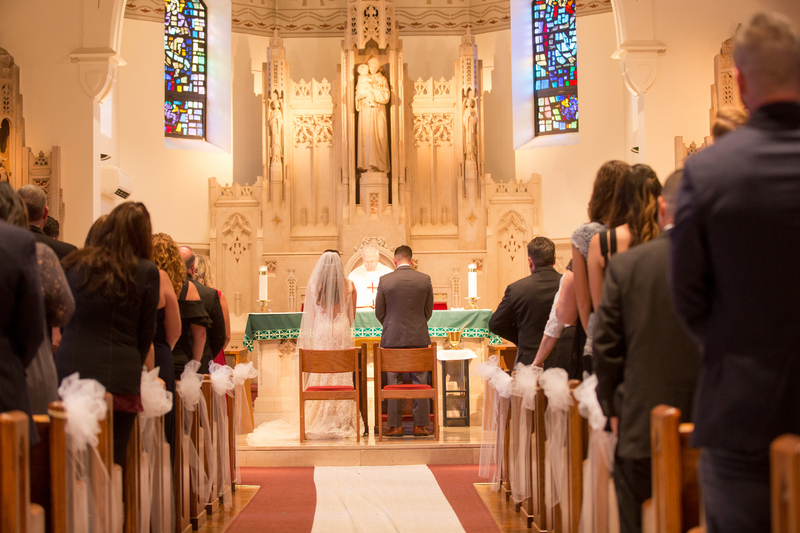 She fell madly in love with her gown from Calla Blanche and the perfect Cathedral Veil from Bel Aire. 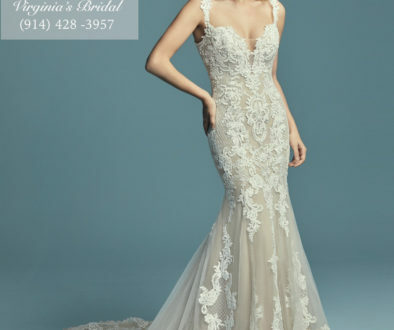 Beautifully executed in beaded lace, her gown was elegant featuring a sleeveless scoop neck bodice with a square neckline. 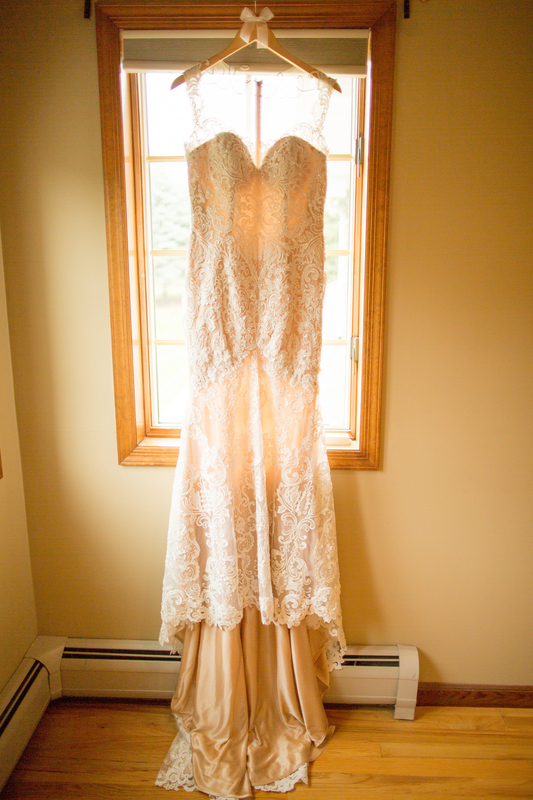 The V-shaped back with illusion accents was breathtaking. 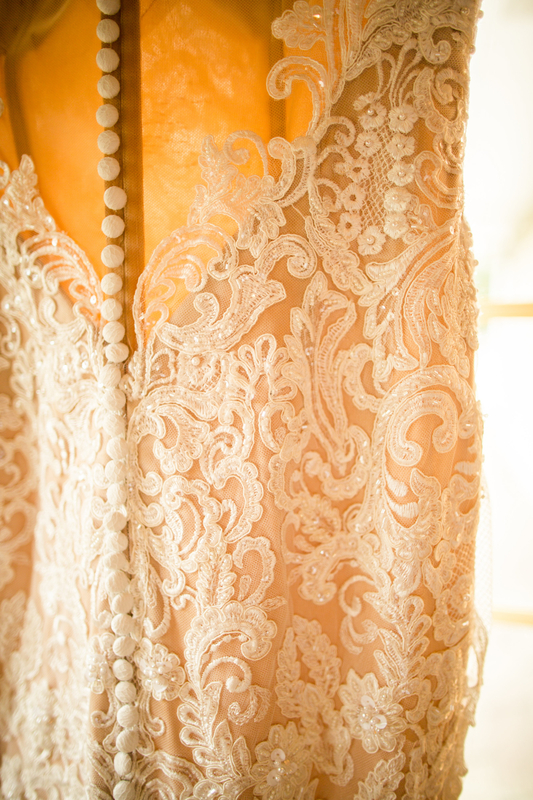 Scalloped edges and a row of covered buttons put the perfect finishing touches on the overall design, making Alyssa looked absolutely gorgeous. 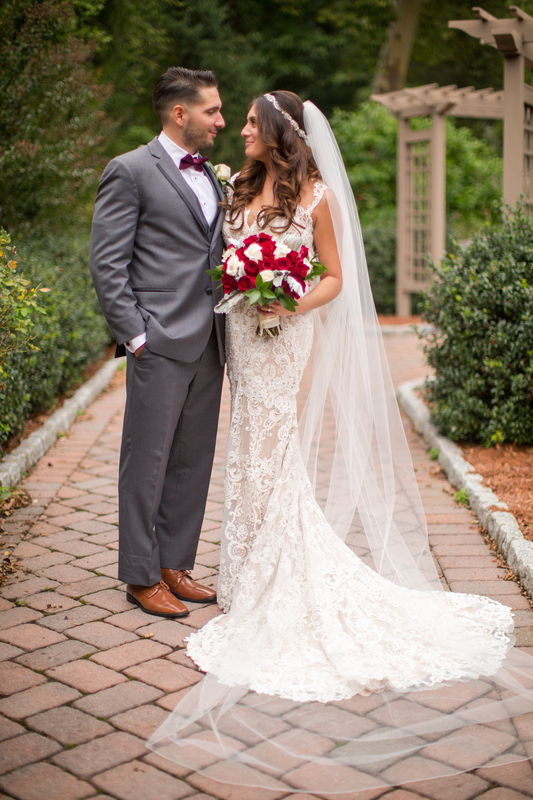 Alyssa and Nick special day was beautifully captured by Alexandra T. Wren Photography.